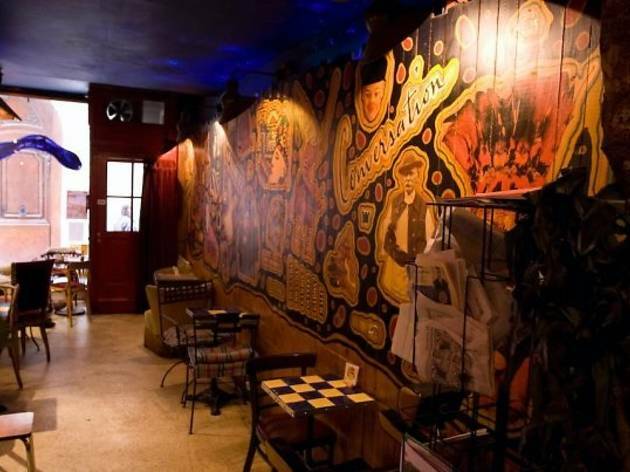 Original cocktails are the speciality at this enigmatic and eccentrically decorated bar. 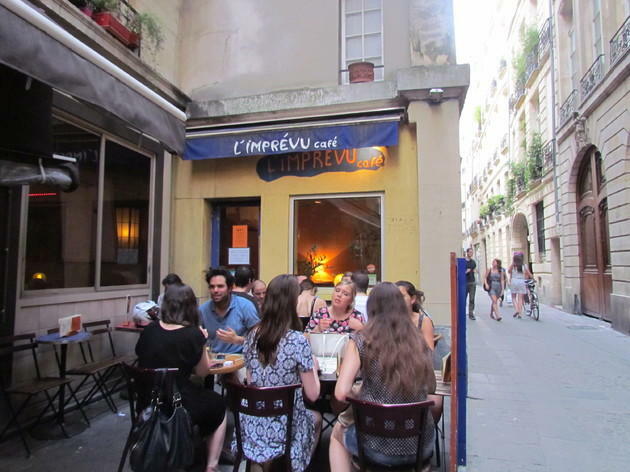 Despite the high concentration of bars near Châtelet, crowded terraces and exorbitantly priced menus make it a tricky destination. 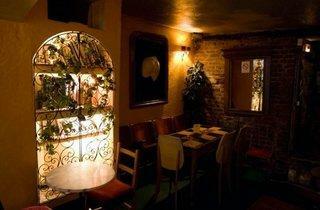 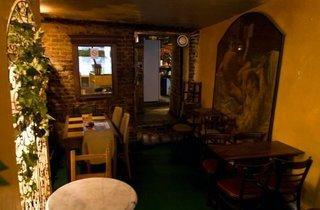 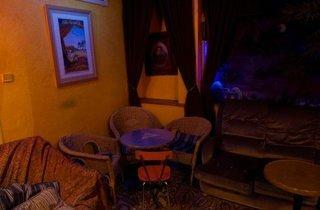 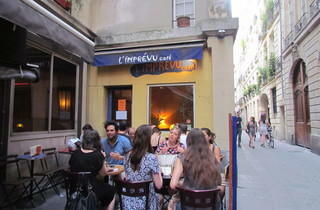 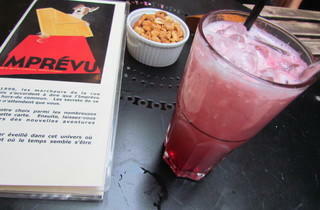 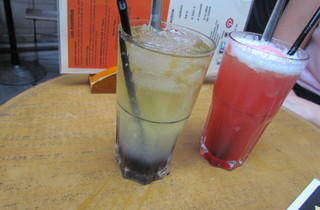 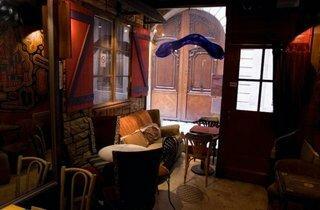 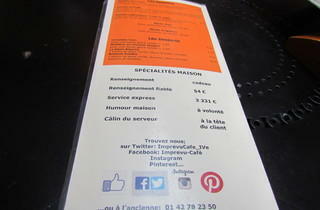 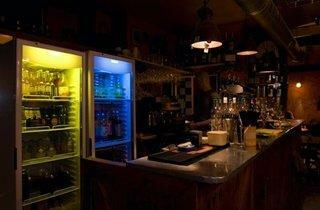 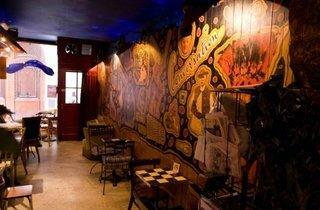 But small 4th arrondissement haunt L’Imprévu, tucked down a tiny street near the Centre Pompidou, is a gem. 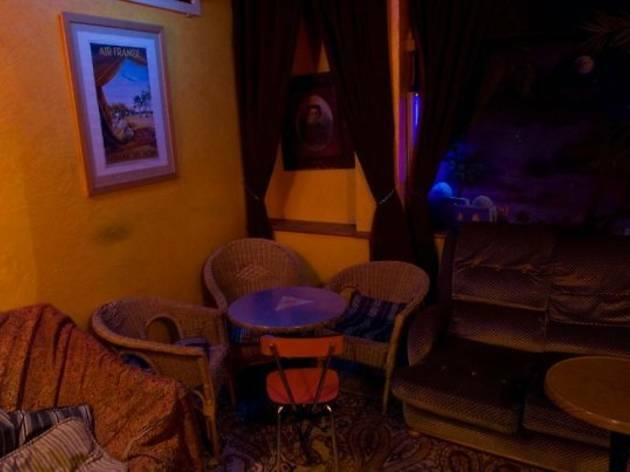 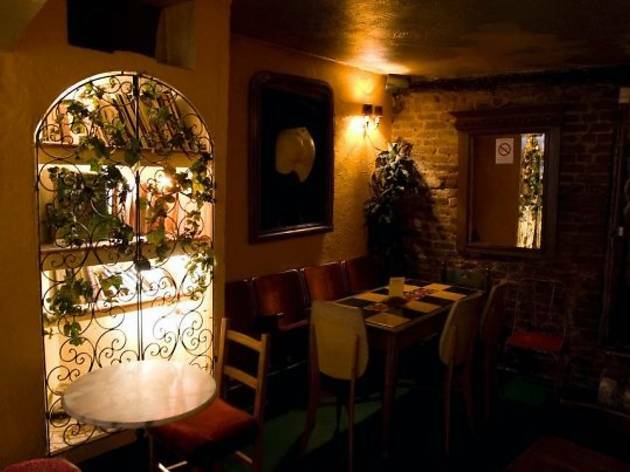 You may think nothing of the bar from the outside (its terrace is small, with just four tables), but the brilliantly decorated interior is stunning. 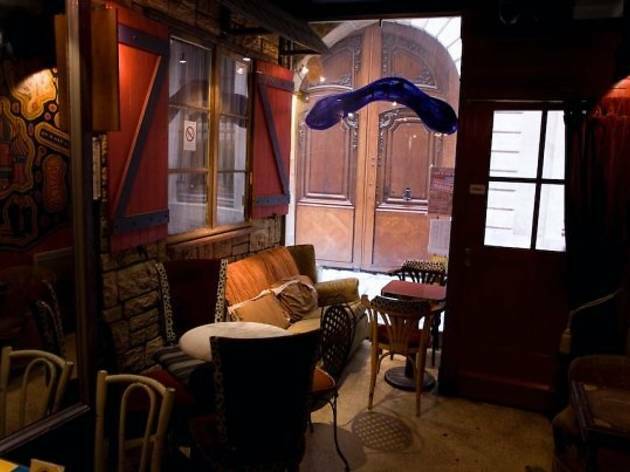 Renaissance-style paintings and mouldings adorn the first room, while street art is the theme of the second, and 1970s décor the third. 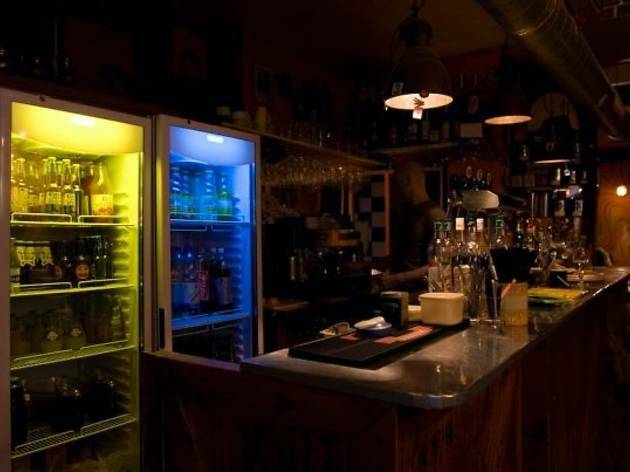 Beyond the interior design, the bar’s greatest asset is its cocktail menu, which is filled with exceptional and original concoctions, like the ‘700 avant J.-C.’, which contains whisky, lemon and some ‘secret’ ingredients. 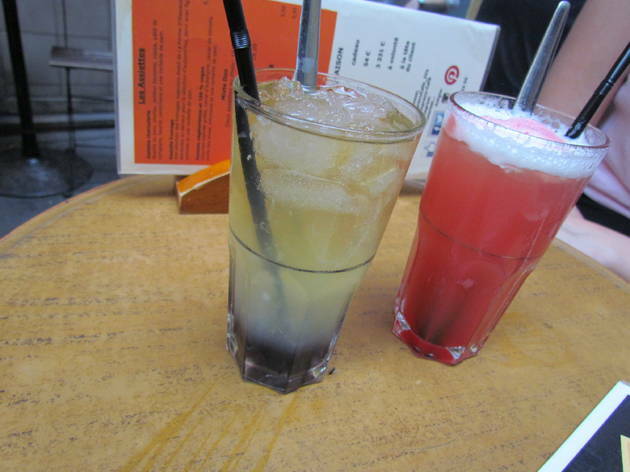 You’ll also find classics like Bloody Mary and punch, but sadly not much in the way of beer (there’s just one, lonesome lager). 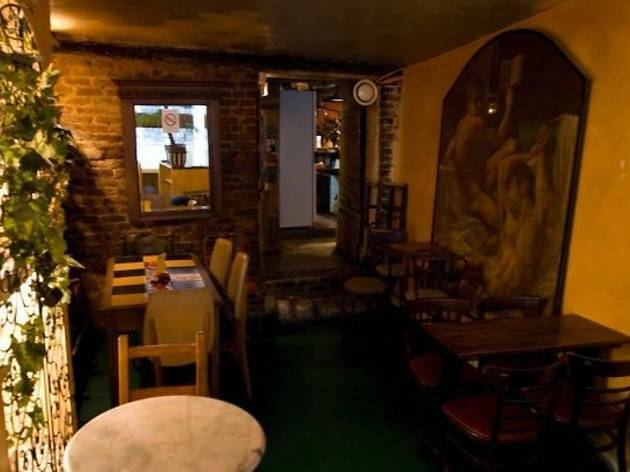 Still, happy hour finishes relatively late (9pm) and those on a budget will appreciate the prices (a pint is €4.90). 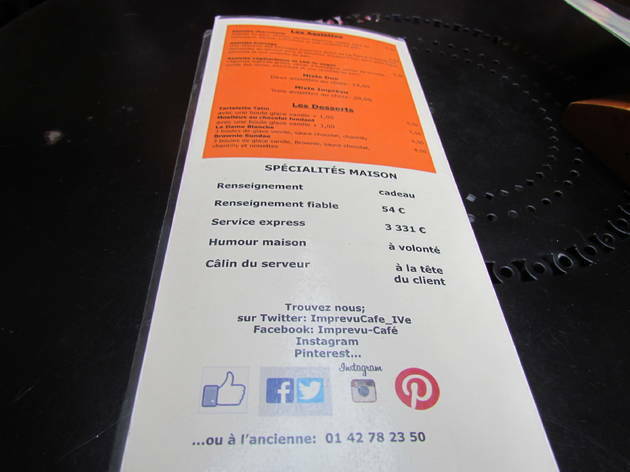 Quality food platters are also available (cheese, vegetables, charcuterie), but although great for sharing with friends, these won’t satisfy anyone pining for a proper, filling meal. 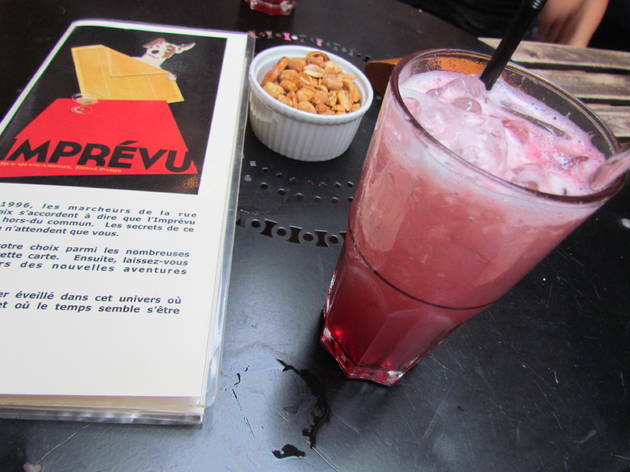 With its gentle 1960s and 1970s soundtrack rolling along in the background, L’Imprévu is a very decent spot for a comfy drink with your mates.